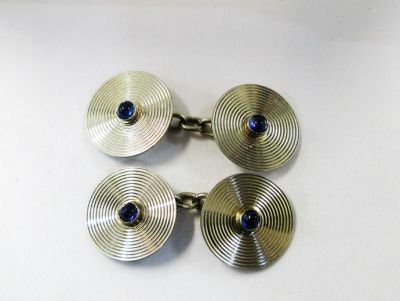 A wonderful pair of Art Deco 18kt white gold cufflinks with 4 round cabochon deep blue sapphires, est. 0.56ct. They are approx. 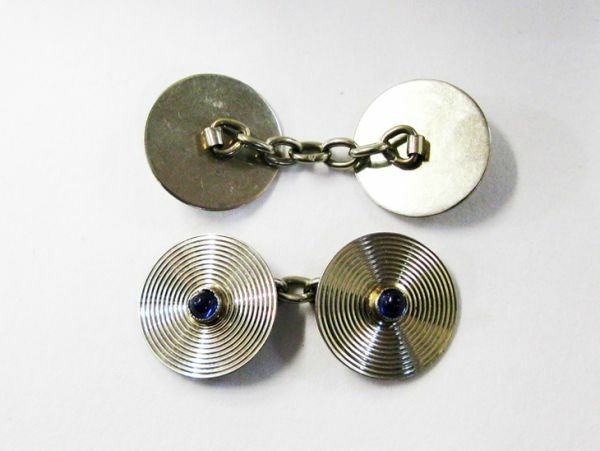 5/8 inch (1.65cm) in diameter.